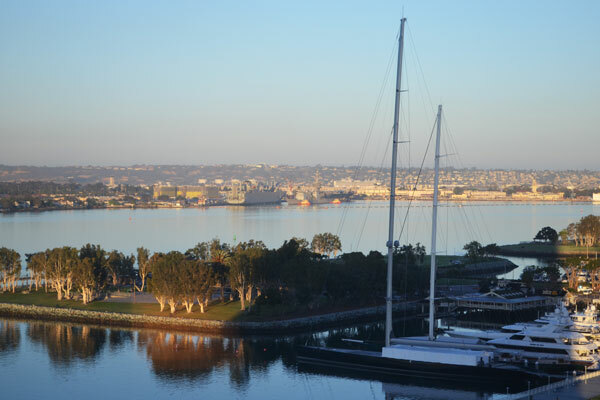 Home to one of the largest concentrations of military assets in the world, San Diego’s regional economy is heavily dependent on the defense industry for financial input. Collectively, direct defense spending was approximately $24.8 billion in 2015. 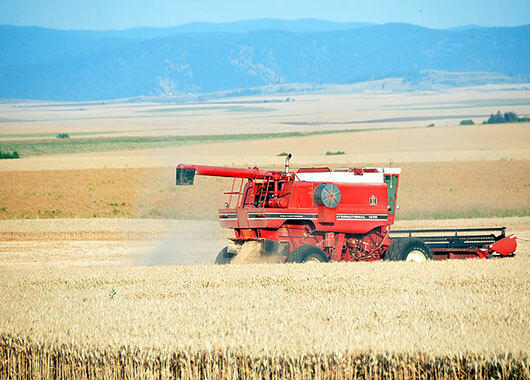 This amounts to 21.5% of the county’s Gross Regional Product (GRP). 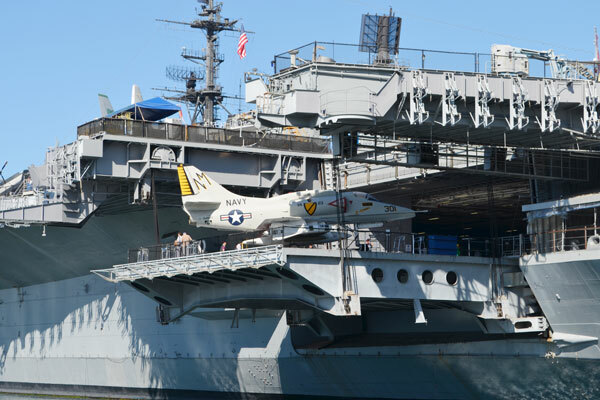 More than one out of every five jobs in the region are directly tied to defense spending. 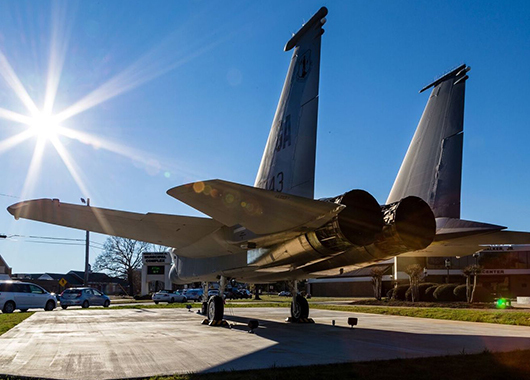 Since defense spending generates an economic impact that far outpaces other industries in the area, it is also a significant cause of vulnerability in the local economy. 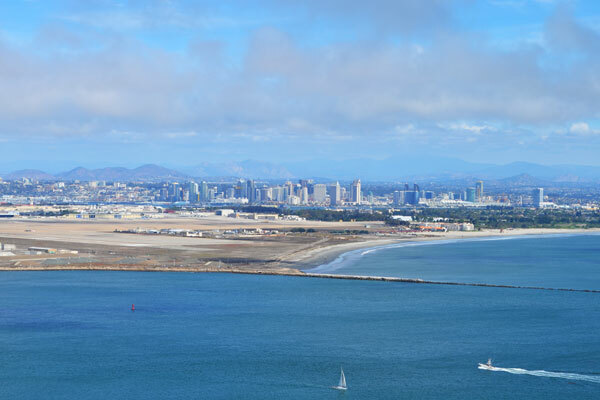 The City of San Diego was awarded Phase One and Phase Two grants from the Department of Defense, Office of Economic Adjustment, to enhance resiliency and economic diversity of businesses within the regional defense sector. 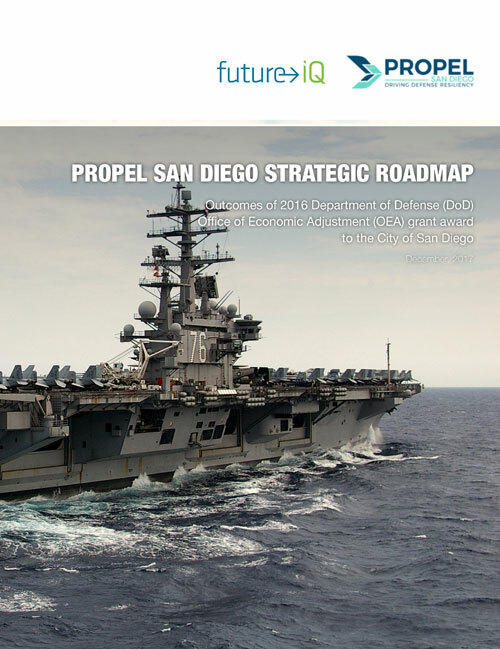 Future iQ was engaged by the City of San Diego to facilitate the grant processes and to guide the project’s Regional Leadership Group in its actions to plan for future resilience in the defense industry. Facilitate greater knowledge and understanding of the local defense networks regionally. 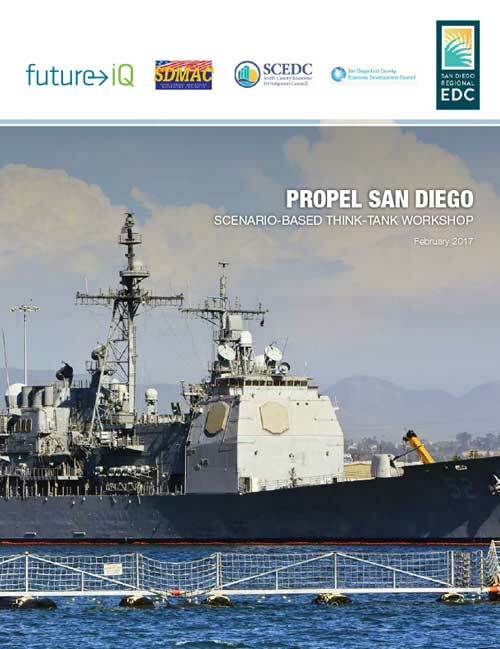 Facilitation of a scenario-based Propel San Diego Think-Tank producing a Scenarios of the Future Report. Facilitation of regular Regional Leadership Group meetings. Enhance communication between the partners by networking and assessing existing defense industries, contractors, sub-contractors, and related suppliers. 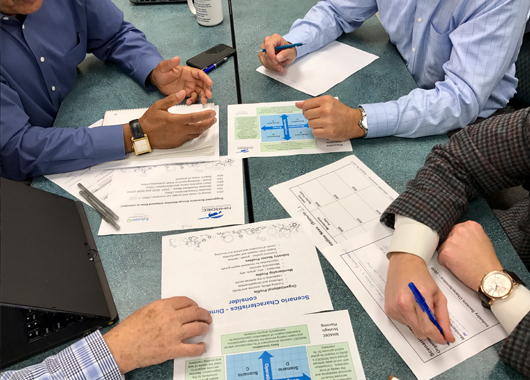 Develop a long-term strategy for companies to respond to changes in defense spending to ensure a sustainable and resilient regional future by adapting to new or alternative economic opportunities. The long-term strategy was produced in the form of a Strategic Roadmap for the region. Facilitation of a Stakeholder Forum in Phase Two to address gaps in the regional defense industry and use this information to inform the update of the long-term strategy. 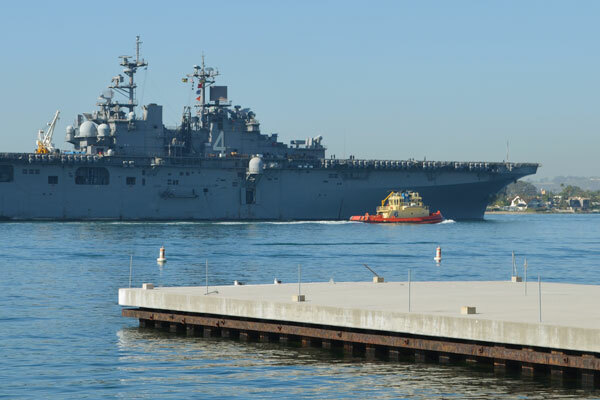 Ultimately, develop a resilient defense supply chain in the San Diego region, that can stabilize despite changing budget priorities and addresses both regional economic and Department of Defense (DoD) readiness priorities.